Getting a real job that requires, y'know, time and energy and attention, has played havoc with my Goodreads stats, let me tell you. Said job, plus a girlfriend who, while being extremely supportive of my book obsession, also would like me to talk to her sometimes, mean I had an appx 30 book drop in my reading this year, for a grand total of 46 books read. 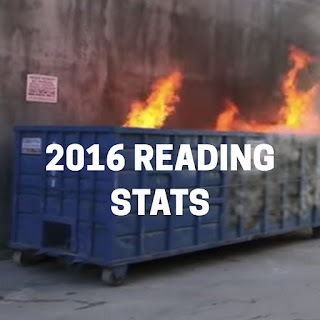 What themes did we find for this year's reading though! Of this 46, 22 were by women, which is...not quite half. Of my entire reading for the year. I know. Me. My reading. Over half of it by men. You're probably thinking "hey, wha happened" and I get it. I...get it. Well, Neil Gaiman happened. And Ron Chernow. And David Sedaris and Norman Cantor and John Lewis and Edward Carey and just a LOT of dudes writing books I wanted to read. Because y'know what, it's going to happen, because the publishing world favors them. "That's why you should make an extra effort to read women and POC, Alice." I KNOW THAT. My extreme interest in ladies usually self-corrects this problem, but this year, nope. 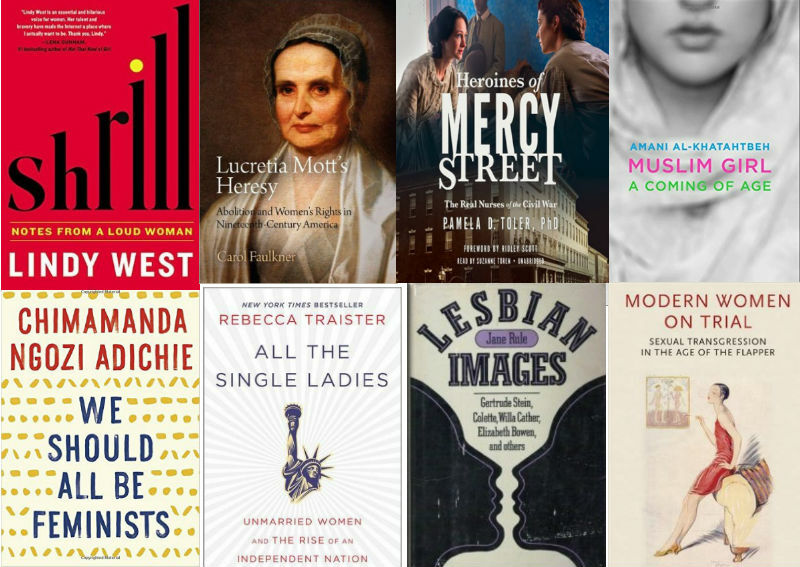 "How many books did you read by people of color this year, Alice?" That would be six. Which is 13%. It really wasn't a great year for intentional reading. 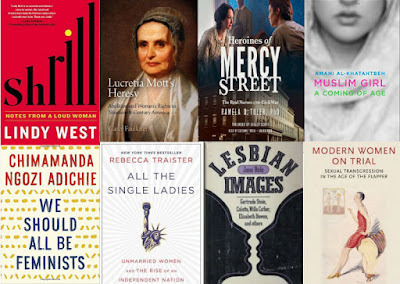 I did, however, read Lindy West's Shrill, Rebecca Traister's All the Single Ladies, Amani Al-Khatahtbeh's Muslim Girl, Lucy Bland's Modern Women on Trial, Chimamanda Ngozi Adichie's We Should All Be Feminists, Pamela Toler's The Heroines of Mercy Street, Carol Faulkner's Lucretia Mott's Heresy, and Jane Rule's Lesbian Images. I mean...these were all pretty good. Do I have 2017 reading goals? Well....yeah, but they're primarily "read social justice books." Because the world right now is TERRIFYING. And yeah, sure, it's always been terrifying, but now it is terrifying in a specific-to-our-times and in a very overt way, because we are being led by a reality TV star and omg we're living in Idiocracy IT CAME TOO SOON WE WERE SUPPOSED TO HAVE MORE TIME.